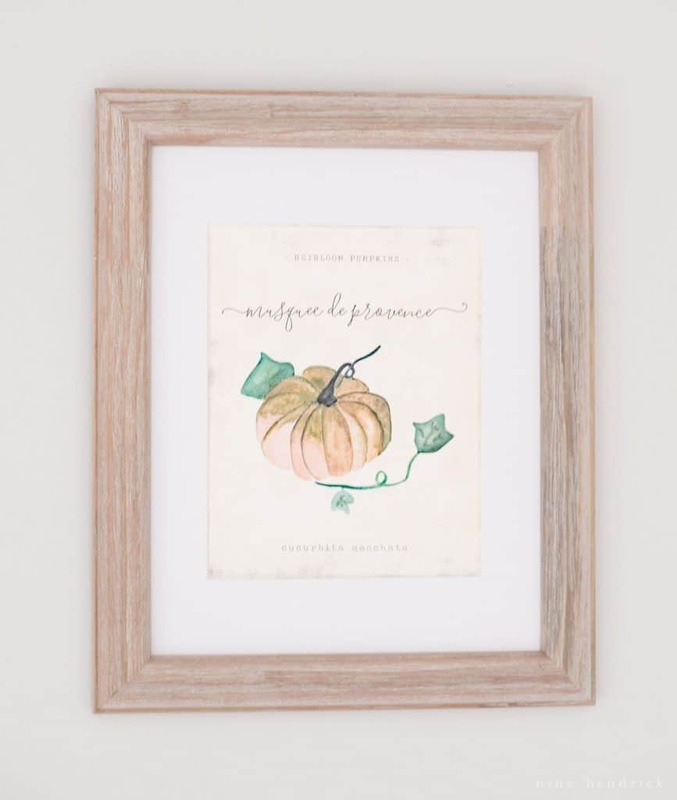 Get a free copy of these watercolor heirloom pumpkin printables to download, print, and decorate your home for fall! Happy fall! 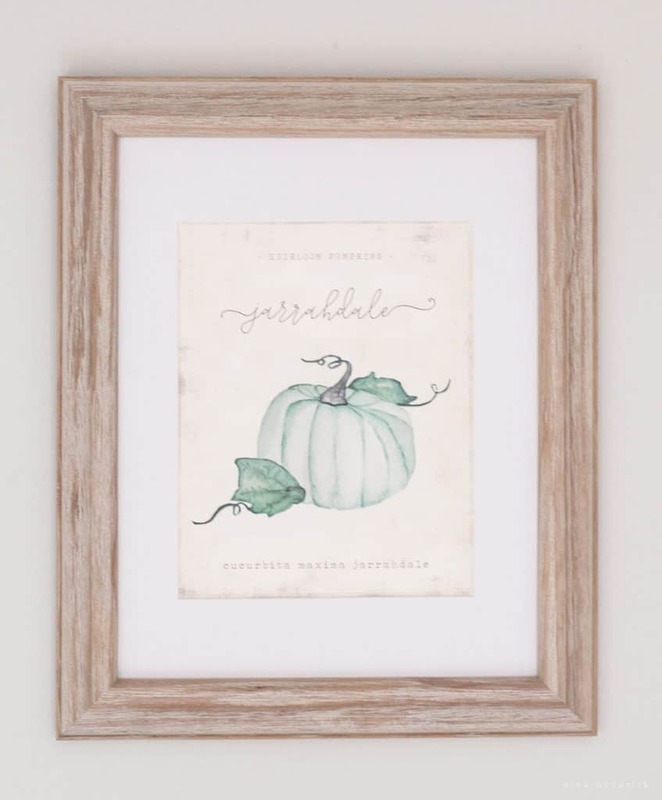 I’m so excited to share three free watercolor heirloom pumpkin printables with you today as part of the tour hosted by Kristen of Ella Claire! 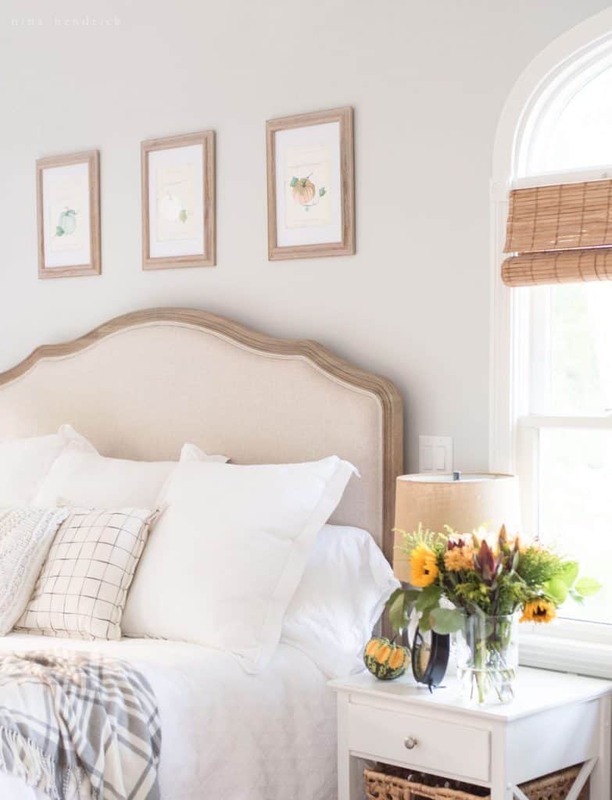 I really loved having seasonal prints in the three frames above our bed this past spring, so I decided to switch them up with some new ones. These are watercolors I painted myself of different types of heirloom pumpkins and digitally transformed into botanical-inspired prints. They are far from perfect, but I’m pretty pleased with my progress! Aside from the series of prints, I thought it would be nice to bring in some other seasonal touches in the room. 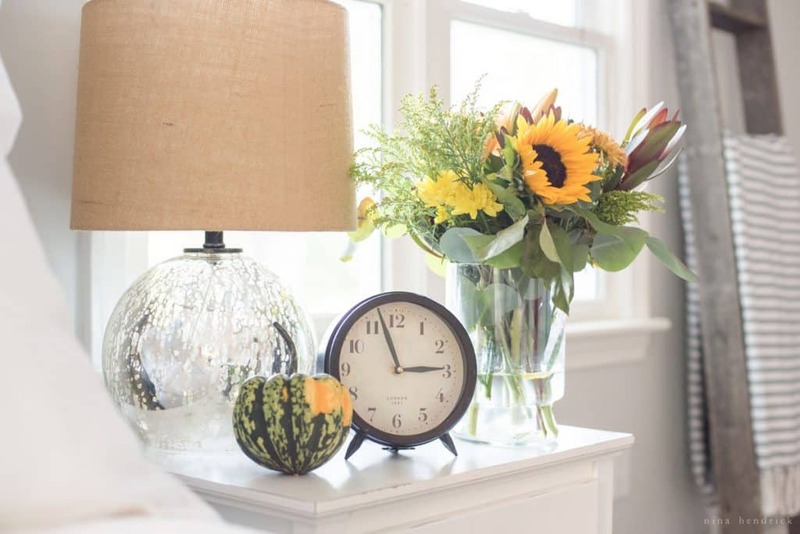 Fresh flowers are always my go-to, and I was even able to find a couple of early gourds to decorate with. 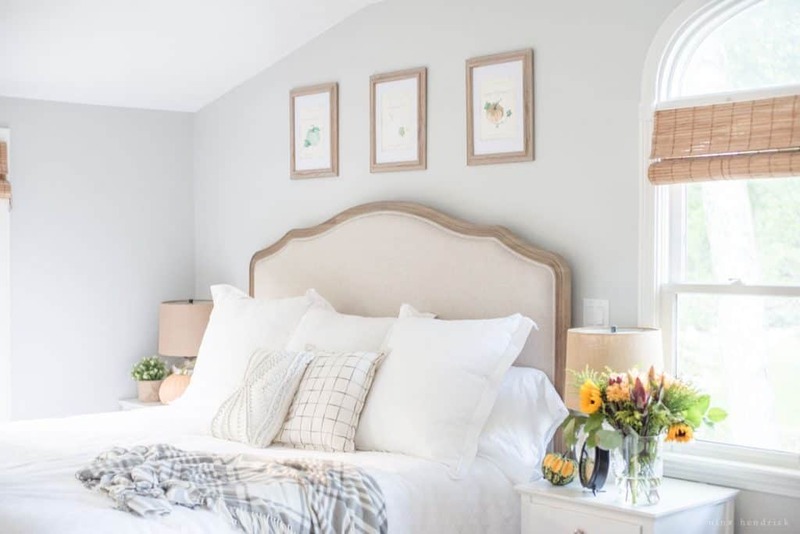 I really love the color variation of pumpkins, which was what inspired this project in the first place! These are so pretty Nina! What beautiful colors and dreamy lettering! 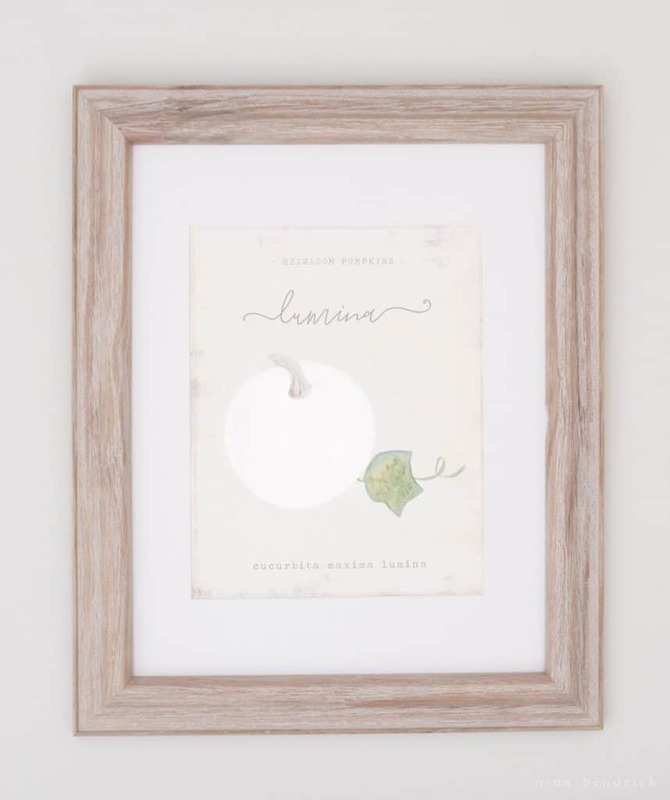 I am completely in love with these printables, Nina! It is such a pretty display to see the three of them hanging together on your wall. 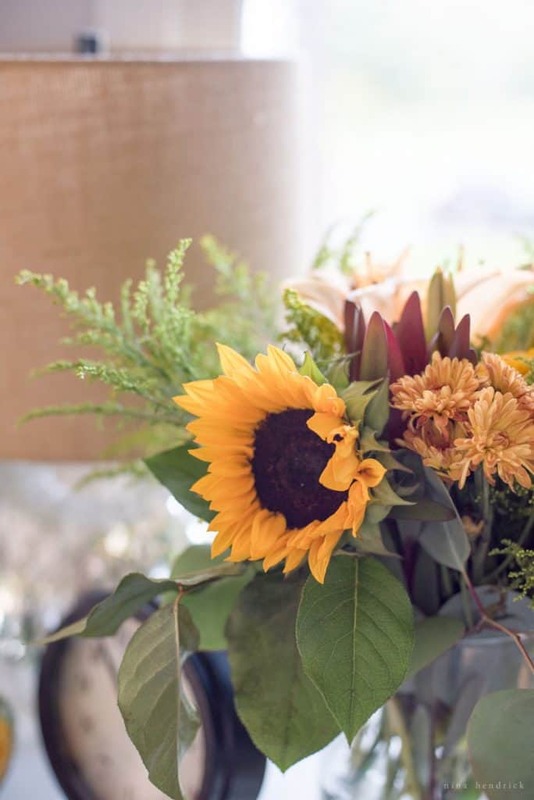 These prints are just gorgeous and I love your fresh flowers!